For the past two years the most hated assets on the planet have been gold and silver. With a modest sign of a pulse in precious metals over the past few weeks a new champion has emerged as the most despised asset in the world; oil. 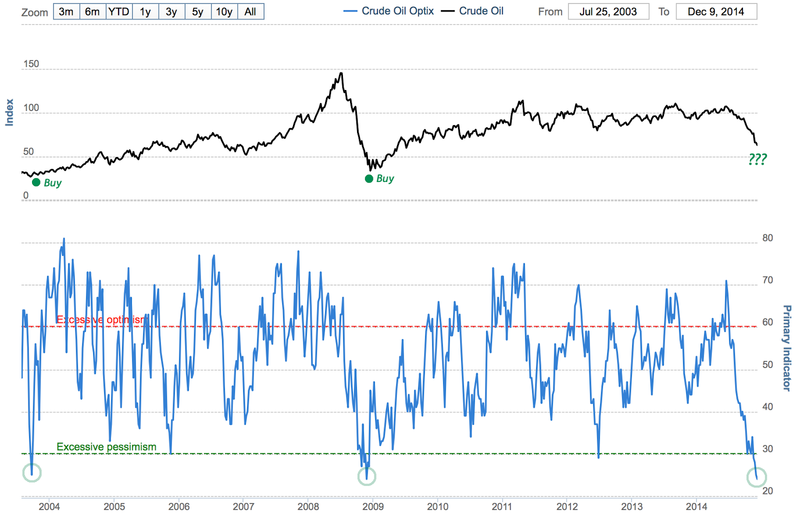 The chart below from Sentiment Trader shows oil pessimism has now moved back to levels last seen following the Lehman crash when oil traded close to $30 a barrel. Readers know I love to purchase assets when they are hated. If they become more hated, I love them more. 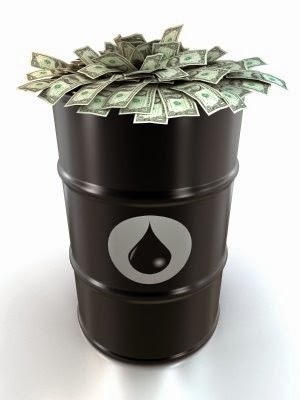 Oil and oil related stocks have been on my shopping list for years, and I began purchasing again when the black gold hit $68 at the end of November. I plan on continuing to accumulate until it crosses back above $70 or until optimism returns. Hopefully that is years away. Star Capital has put together an excellent global heat map which provides a visual on the least to most expensive stock markets around the world based on the Shiller CAPE price to earnings ratio. Dark blue countries are the cheapest up through to the dark red countries which are the most expensive. The United States is the second most expensive country in the world behind only Denmark, with a blistering 27.2 price to earnings ratio. The data is through the end of October and U.S. prices have moved higher since so the P/E ratio is even higher (more dangerous) today. There are 10 countries in the world with P/E ratios under 10 (Greece, Russia, Hungary, Austria, Portugal, Italy, Ireland, and Brazil), which is historically considered the "cheap" entry point for a stock market (the U.S. was last there in the early 1980's). I am personally interested in select stocks within the Russian and Brazilian markets (see Jim Grant Is Still Bullish On Russian Stocks & Gold). 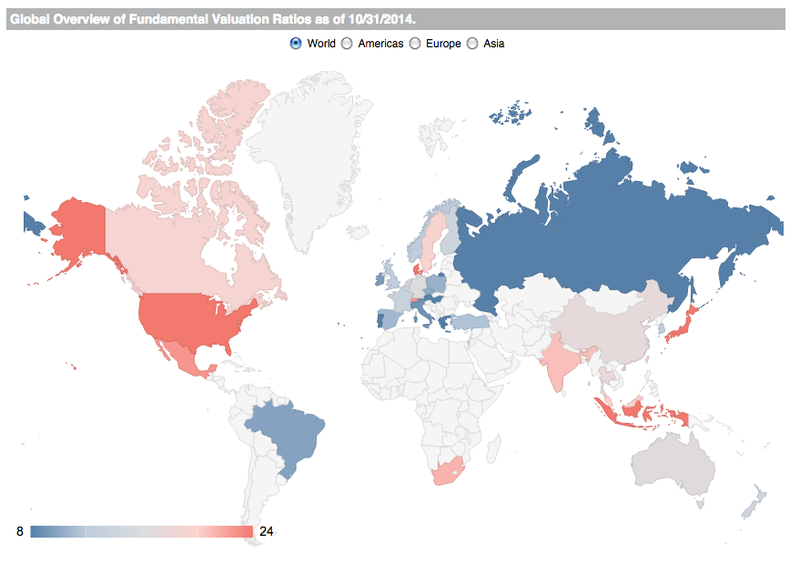 Can cheap markets get cheaper and expensive stocks get more expensive? Of course. That has certainly been the trend over the last few years. 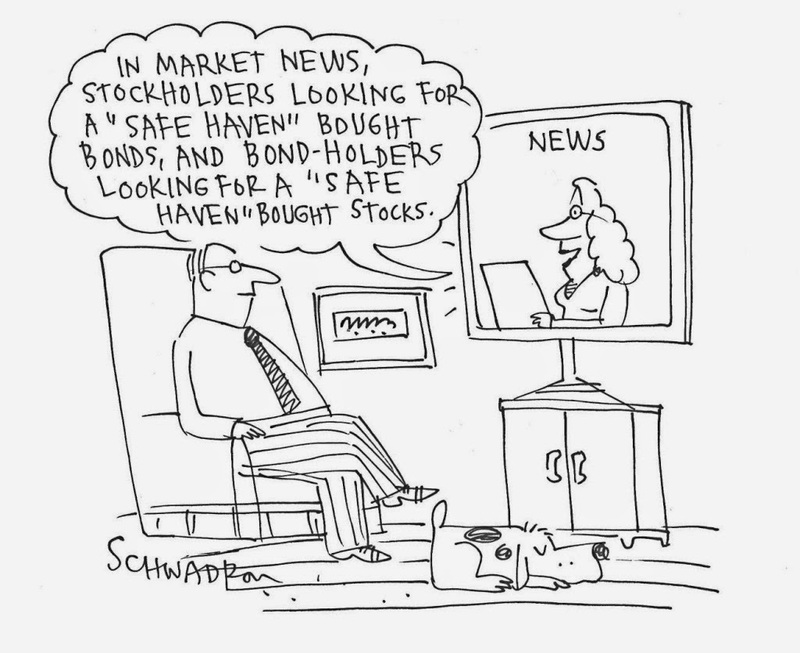 However, I personally believe purchasing an energy stock in Russia with decades of proven profits, high dividend payments and an enormous cash hoard at a P/E ratio of 2 is a safer long term bet than a U.S. technology company with a P/E ratio over 300, no profits and no dividends. Please understand that, at this moment in market history, I am almost completely alone in this belief. The world today sees incredible value (and safety) within U.S. tech companies that are burning through millions of dollars of cash every month and only survive through steady capital raising which then re-values their company at higher and higher multiples. Following these insane capital raising events (perhaps shades of tulip bulb auctions centuries ago?) these start-ups find themselves with a paper valuation billions of dollars higher than a profitable Russian oil giant. Again, this all seems strange to me, but I am a dinosaur in today's "new economy" where "this time is different," so I could not possibly understand how the world works. For the complete list of stocks and interactive heat map, I would highly suggest visiting the Star Capital Global Stock Market Valuation Ratios page.